← DTS 2014 Has Begun! I hope you are doing well! Can you believe that we are in the Christmas holiday season? Wow, where does the time go! I hope and pray this time will be a very memorable time with your family. 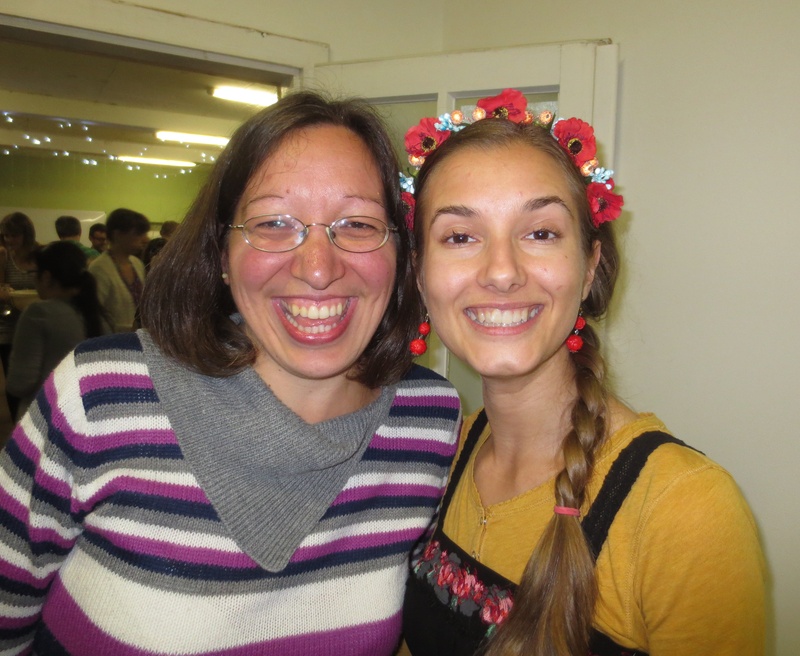 at the YWAM base in Cluj, Romania along with 14 other YWAM bases from Western and Central Europe and there was a total of 18 different nationalities that were represented there. I went with my friend Marianna who I serve together with at the Târgu Mureş base. It was from November 2nd – 8th. It was truly a wonderful week of training and equipping before the DTS started where I serve at and it was amazing to meet people from all over the world who are passionately in love with Jesus! 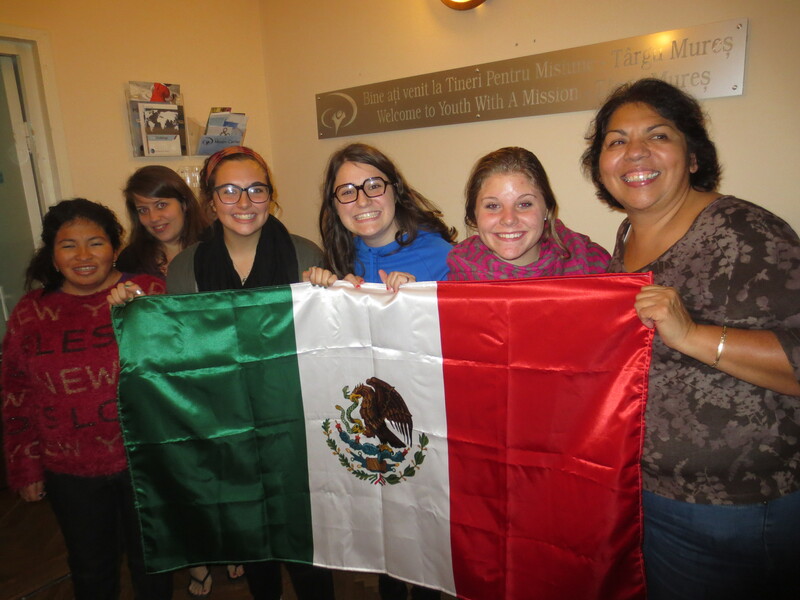 Mexico came to the YWAM base where I am serving at. 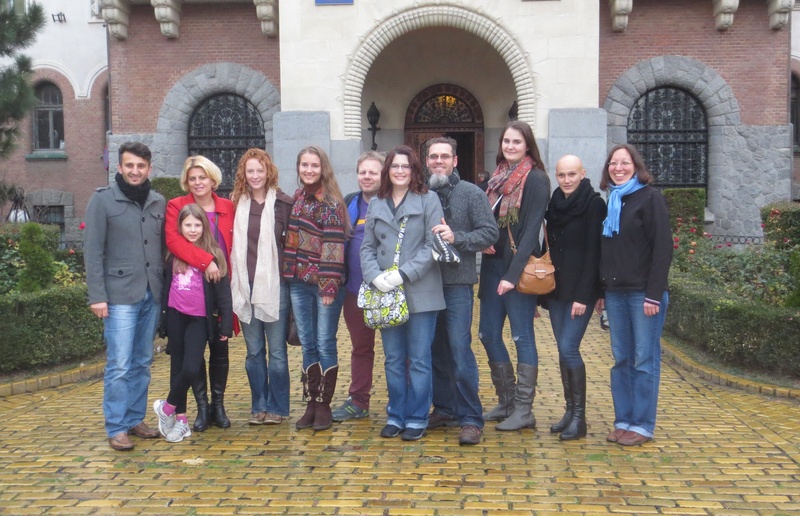 There were six girls on this team (two staff and four students) and they were all such a blessing to us. During their time in Romania they did conversational English classes at high schools, coffee houses and loved on the Roma gypsy children at the Cold Valley village. They were also such a great help when the DTS started and it was a special treat for us at the base to have a Mexican festive dinner evening while they were on their outreach! It is hard to believe that after months and months of praying in this DTS School and all of the preparations that had to be done for this school to be made possible it finally begun on November 16th! I truly believe that this school is a miracle from God especially with all of the spiritual warfare that the YWAM base where I’m serving at had gone through this past summer in preparing for it. I really believe that it was another lesson of perseverance that God taught all of us during this time. The DTS officially began with our traditional Love Feast meal as we welcomed our students and had a time of celebration as we started our journey together. The teaching topics so far have been on: Hearing God’s Voice, the Father Heart of God, Identity in Christ and Evangelism. The students have also done a couple of local outreaches to a homeless ministry, at a cancer hospital and reached out to the Roma gypsy children at the Corbesti village. 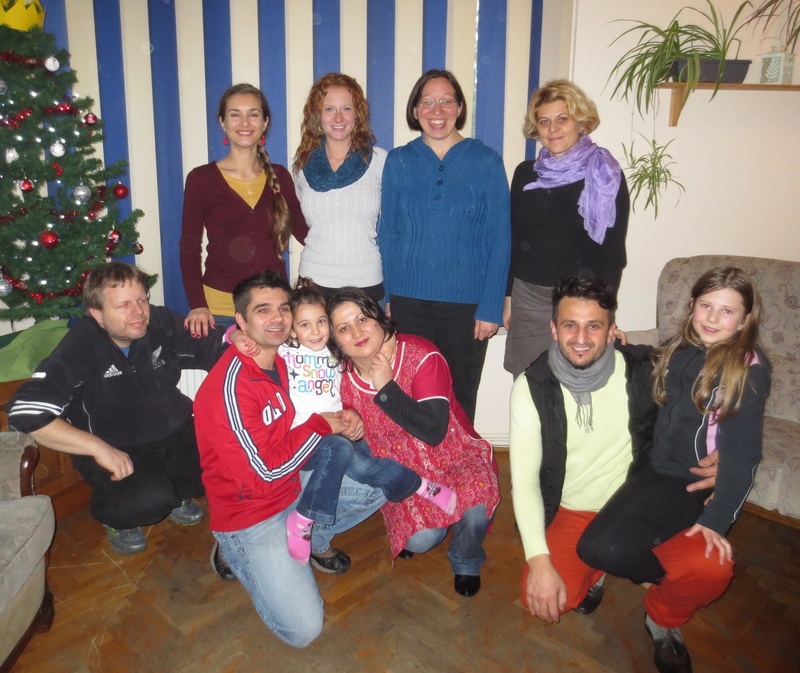 For their two week Christmas outreach (December 20th – January 4th) they are ministering to a Roma gypsy community near Sibiu. This is my very first time to be a DTS staff so I’m sure it will be very stretching for me but yet very rewarding as well. I am very excited with much anticipation to see the transformation that will take place during this school! God is so very faithful and we are going to see Him move mightily! like to take a few moments to introduce the base staff team to you. Florin and Florina Mereu are our base leaders and Nadia is their daughter (Romania). Dan and Dorina Ghiurca are our DTS leaders and Naomi is their daughter (Romania). On the rest of the team there is: Peter Urfer (Thun, Switzerland), Marianna Shapovalova (Kyiv, Ukraine), Lindsay Richard (Georgia, USA), and myself (Ontario, Canada). 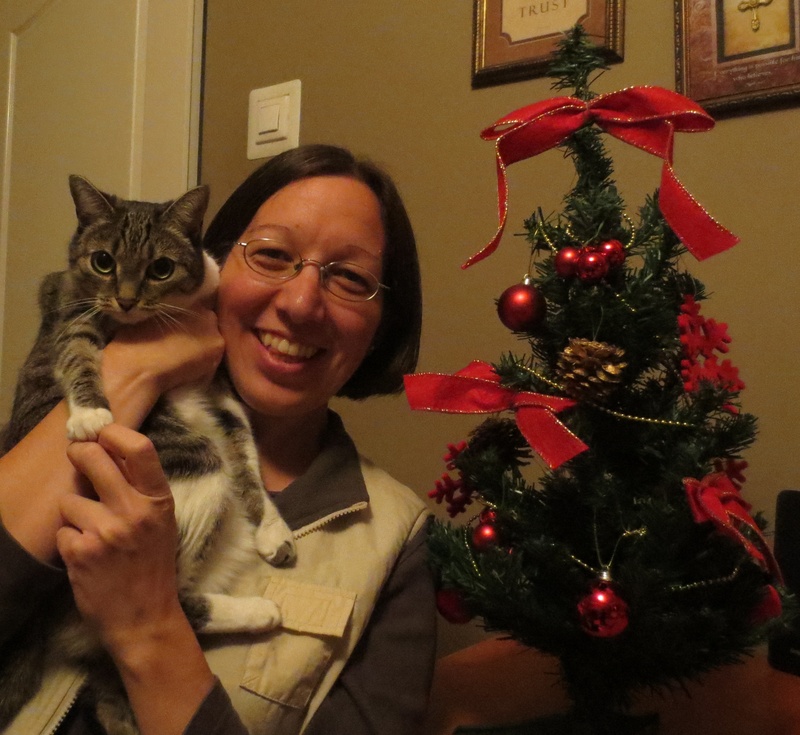 On Friday December 19th I flew back to Canada for the holidays and I will return to Romania on Monday January 12th. I would love to see as many of you as I can during my short visit in Canada and it would be a special blessing if you can come out to my prayer get together that will be at my Mom’s house on Saturday January 10th at 7:00pm for a time of fellowship and to intercede in prayer together before I continue to serve the Lord at the YWAM base as a full-time DTS staff. I needed to buy a new laptop computer as my old one had to be replaced. It cost $970 CAD. In February I will be going on a 6 week outreach to Albania with the DTS class. Please let me know if you are able to give a special donation to any of these extra costs that are not in my monthly budget. • I praise God for the opportunity to get DTS staff training and to serve with this ministry. • I praise God for how He is stretching me in new areas and teaching me to trust in Him more. • I praise God for all of His protected care, provision and His faithfulness. • For God to give me an extra measure of His grace and peace during my time in Canada. • For God to continue to daily break my heart for what breaks His heart. Crăciun Fericit și un An Nou Fericit! (Merry Christmas and Happy New Year!) May this Christmas be filled with much joy as you celebrate Christ’s birth and may this New Year be a time of celebration of what God is going to do in 2015! I would also like to thank-you from the bottom of my heart for all of your continual prayers, encouragement and support. It means so much to me!